Need help with the options? Catholic Cemeteries & Crematoria is governed and supported by a highly-skilled and committed Board of directors, with each member contributing unique strengths and experience to land management and community service. After graduating in law from Sydney University in 1973 Greg was admitted as a Solicitor the same year and worked at several small firms until beginning a career in Government law. Greg mainly worked in prosecutions for the Commonwealth Crown, the Commonwealth DPP and later, after admission as a Barrister in 1987, as a NSW Crown Prosecutor and Deputy Senior Crown Prosecutor until his appointment as Deputy Director of Public Prosecutions in 2002. He was appointed to the role of Senior Counsel in 2004. Along the way Greg worked as an instructing Solicitor to the Stewart Royal Commission into Drug trafficking, Senior Legal Adviser to the National Crime Authority and as Counsel Assisting the Independent Commission Against Corruption under Commissioner Ian Temby QC. Greg was elected to the NSW Parliament in March 2007 as Member for Epping and shortly thereafter was appointed Shadow Attorney General, Shadow Minister for Justice, Shadow Minister for Juvenile Justice. Greg served in the O’Farrell Government as Attorney General and Minister for Justice from April 2011 to April 2014. He retired at the 2015 elections and has returned to the Bar in order to practice in criminal law. Greg is currently a member of the Australian Catholic Life Committee of the Australian Catholic Bishops’ Conference. On 15 June, 2016, Archbishop Anthony Fisher OP appointed Greg a Governor of the Catholic Cemeteries Board for a period of three years. He was appointed to the position of Deputy Chair on 7 December, 2016. Member of the Congregation of the Sisters of Charity of Australia. Charity Foundation Ltd and as a Director on several Education Boards. She was appointed a Governor of Catholic Cemeteries Board by Archbishop Anthony Fisher in June 2015. Ordained a priest for the Archdiocese of Sydney in 1983 and ordained an auxiliary bishop for the Archdiocese of Sydney on 16 November 2007. Bishop Brady has maintained a strong commitment to social justice through a long connection with St Vincent de Paul Society, especially serving the homeless through the Matthew Talbot Hostel and for the last seven years as the Director of Catholic Mission for the Archdiocese. He was appointed a Governor of the Catholic Cemeteries Board by George Cardinal Pell in May 2011. Tony Farley brings a wealth of experience to the Catholic Cemeteries Board, having spent almost 30 years in workplace and industrial relations. He is currently Executive Director of the Catholic Commission for Employment Relations (CCER), a position he has held since 2008. CCER provides workplace advice to a variety of Catholic organisations throughout NSW and the ACT in education, aged care, social services and Church administration. Previously the Director, Workforce Development for the South Eastern Sydney Illawarra Area Health Service, he has also held other leadership roles in the NSW Department of Health and was Chairperson of the Community Services and Health Industry Skills Council. Tony has also been a researcher for a federal member of parliament, Industrial Coordinator for the ACT Government and worked for two unions. He has always been actively involved in the Catholic community, holding positions on a number of boards and committees. Among them, Sydney Archdiocese of Catholic Schools (SACS) and the CatholicCare Sydney Remuneration Committee. He is currently a member of the NSW Industrial Relations Advisory Committee and acting chair of the Australian Catholic Council for Employment Relations. Tony was appointed a Governor of the Catholic Cemeteries Board in 2016 for a period of three years. Grace is the Founder and President of not for profit charity the Autism Advisory and Support Service (AASS), a network support system to empower children with Autism and their families. The charity helps families across Australia and internationally. Grace is an adjunct Fellow of Faculty of Health Sciences at the University of Western Sydney. Grace has received many accolades for her work at AASS including nominations for Rotary Inspirational Woman of the Year 2013 and Australian of the Year 2009, and winning the IDPWD Award 2007, Fairfield Council Australia Day Award 2010, Order of Liverpool CLO 2011 and Quota Liverpool Citizen of the Year 2011-12. Grace joined the Catholic Cemeteries Board November 2012. Currently the Executive Director of the Waste Contractors & Recyclers Association of NSW. Tony is a strong advocate for the waste management industry, with regular contact with the many stakeholders and regulators that affect industry, in particular EPA, Safe Work NSW, Local Government, RMS, ATO, Fair Work Commission, TAFE, etc. He is a CPA, a Registered Tax Agent and a Fellow Member of the Governance Institute of Australia. He was appointed a Governor of the Catholic Cemeteries Board in June 2015. A commercial lawyer and principal of McCue & Associates, Macquarie Street, Sydney. Margaret is also a member of the consumer and commercial division of a New South Wales tribunal, and has an appointment as an arbitrator in the Local Court of New South Wales. She was recently appointed as treasurer of the Alternative Dispute Resolution Association [ADRA]. She is a longstanding director of aprivate Catholic school and is a nonexecutive committee member of an inner city chamber of commerce. She was appointed as a governor on 1 June 2015. Anthony Cleary is the Director of Religious Education and Evangelisation for Sydney Catholic Schools, Archdiocese of Sydney. Prior to his appointment in 2006, Anthony was the Director of the Confraternity of Christian Doctrine (Sydney). Anthony holds a Bachelor of Education, Master of Religious Education, Master of Educational Leadership, and Master of Arts (Theological Studies). Currently Anthony is completing his PhD, examining the impact of World Youth Day on young Australians. Anthony’s engagement in the life of the Church is evident through his deep commitment to parish life (St Patrick’s Church Hill). Danny’s professional career includes senior executive roles with Energy Australia, Ernst & Young, Lend Lease as well as leadership of a commercial law firm. Danny was appointed as the Business Manager of the Catholic Archdiocese of Sydney in 2003. In 2008, Danny was the senior executive (COO) responsible for the planning and delivery of World Youth Day in Sydney – a major international event that had more international visitors than attended the Sydney Olympics. Over 500,000 people gathered at each of the major events which were broadcast to an estimated worldwide audience of in excess of 1.4 billion. In 2014 Danny was invited to assist Pope Francis on the economic and regulatory reforms being developed and implemented in the Vatican where he established new practices based in international standards and best practice. Following his return to Australia, Danny has re-established himself as a management consultant and advisor, assisting various businesses and not for profits on strategy and governance. Danny holds a Bachelor of Commerce from the University of NSW and a Master of Economics from Macquarie University and is a CPA. Selina Hasham is currently Director of the Creative Department for the Archdiocese of Sydney and has worked for the Archdiocese of Sydney in the area of Communications for over 10 years. She is a member of the Archdiocesan Commission for Ecumenical and Interfaith Relations. Selina has been significantly involved in Australia’s World Youth Day (WYD) journey over the past 20 years including coordinating youth pilgrimages as part of the international WYDs and being part of the WYD08 Sydney organising team. Selina is part of the leadership council of an international Catholic lay community and has coordinated many outreach works in the area of youth evangelisation. A teacher by profession, Selina is committed to creating opportunities for lay people to grow in their faith and be a vital element in the mission of the Church. NEED HELP WITH THE NEXT STEPS? We can chat over the phone or meet you in person. We can help you create the complete funeral plan that suits you. We offer a full range of affordable burial and cremation choices including memorial packages. When making funeral arrangements it's important to get it right. Starting with your last wishes and caring for the family, together we can help to keep it simple. Catholic Cemeteries and Crematoria manages five cemeteries within the western Sydney area, providing world class funeral services, by burial or cremation. 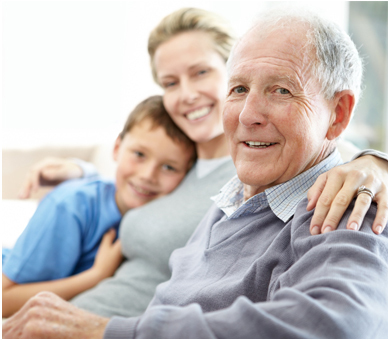 We are the independent experts helping families take care of the final stage of life. As a not for profit Catholic organisation committed to caring for the community now and into the future, you can be sure your family's memorial will be looked after for generations to come. Our compassionate staff will do everything to make a difficult time a little easier, without the sales spiel.